EDMONTON, March 15, 2018 /CNW/ – Aurora Cannabis Inc. (“Aurora“) (TSX: ACB) (OTCQB: ACBFF) (Frankfurt: 21P; WKN: A1C4WM) announced today that it has completed its initial take up of the common shares (“CanniMed Shares“) of CanniMed Therapeutics Inc. (“CanniMed“) pursuant to its offer (the “Offer“) to purchase all of the issued and outstanding CanniMed Shares. The objective for the integration is to leverage the best practices, capabilities, resources, distribution networks, partnerships and technologies available through Aurora to accelerate development of CanniMed’s strategic initiatives. Conversely, CanniMed’s strong medical presence, science base and product development capabilities will form the foundation of the combined companies’ Medical Cannabis Centre of Excellence. Aurora anticipates that execution on these objectives will drive strong growth of the Company’s activities in the domestic and international medical cannabis markets. Complete EU GMP certification of CanniMed’s existing facility. Aurora will apply its experience through ALPS and Pedanios to fast track EU GMP certification, which would enable Aurora to significantly increase shipments of cannabis for the international medical markets. Leverage CanniMed’s and Aurora’s international distribution networks to develop existing and penetrate new international markets. To date, the companies are active in Canada, Germany, Denmark, Italy, Cayman Islands, Australia and South Africa, and actively pursuing market entry into additional countries. Accelerate CanniMed’s patient registration through CanvasRx. Conversely, leverage CanniMed’s relationship with over 5,000 physicians to broaden market reach for Aurora’s medical products. 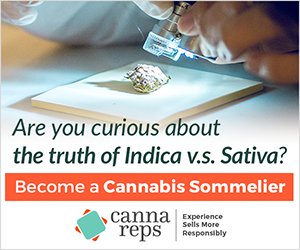 Unlike most other licensed producers, CanniMed has not used patient aggregators, but, over the years, built a network of physicians prescribing CanniMed oils through outreach and education. This organic growth has proven very cost effective and has built a very solid base from which to drive further growth. Leverage the combined entity’s expanded genetics portfolio to provide complimentary products to both companies’ patient bases. Aurora’s wholly-owned subsidiary, Aurora Cannabis Enterprises Inc., is a licensed producer of medical cannabis pursuant to Health Canada’s Access to Cannabis for Medical Purposes Regulations (“ACMPR”). The Company operates a 55,200 square foot, state-of-the-art production facility in Mountain View County, Alberta, known as “Aurora Mountain”, and a second 40,000 square foot high-technology production facility known as “Aurora Vie” in Pointe-Claire, Quebec on Montreal’sWest Island. In January 2018, Aurora’s 800,000 square foot flagship cultivation facility, Aurora Sky, located at the Edmonton International Airport, was licensed. Once at full capacity, Aurora Sky is expected to produce over 100,000 kg per annum of cannabis. Aurora is completing a fourth facility in Lachute, Quebec utilizing its wholly owned subsidiary Aurora Larssen Projects Ltd.
Aurora’s Common Shares trade on the TSX under the symbol “ACB”. This news release (“News Release”) includes statements containing certain “forward-looking information” within the meaning of applicable securities law (“forward-looking statements”). Forward-looking statements are frequently characterized by words such as “plan”, “continue”, “expect”, “project”, “intend”, “believe”, “anticipate”, “estimate”, “may”, “will”, “potential”, “proposed” and other similar words, or statements that certain events or conditions “may” or “will” occur. These statements are only predictions. Various assumptions were used in drawing the conclusions or making the projections contained in the forward-looking statements throughout this news release. Forward-looking statements are based on the opinions and estimates of management at the date the statements are made, and are subject to a variety of risks and uncertainties and other factors that could cause actual events or results to differ materially from those projected in the forward-looking statements. Aurora is under no obligation, and expressly disclaims any intention or obligation, to update or revise any forward-looking statements, whether as a result of new information, future events or otherwise, except as expressly required by applicable law. In particular, this News Release contains forward-looking information concerning: (a) integration of CanniMed into Aurora, (b) expectations for future growing capacity, (c) the expected benefits of the acquisition of CanniMed, (d) expectations with respect to business and geographical diversification of the Aurora after the acquisition of CanniMed (e) the key business objectives to drive further growth, Aurora’s initiatives to achieve such growth, and the expected results thereof, (f) the expectations with respect to the size, scope and scale of Aurora after the acquisition of CanniMed(e) (f) expectations with respect to future production, sales and marketing costs, (g) expectations with respect to volume of patients, (h) any commentary related to the expected benefits of the acquisition; and (i) the expected creation of the Medical Cannabis Centre of Excellence Various assumptions were used in drawing the conclusions or making the projections contained in the forward-looking statements throughout this news release, including assumptions that there will be no change in the business, prospects or capitalization of CanniMed or Aurora. Forward-looking statements necessarily involve known and unknown risks, including, without limitation, risks associated with general economic conditions; adverse industry events; loss of markets; future legislative and regulatory developments. The expected benefits of the acquisition of CanniMed are based on a number of assumptions, including that Aurora will be able to acquire 100% of the outstanding shares of CanniMed. Readers are cautioned that the foregoing list is not exhaustive. A more complete discussion of the risks and uncertainties appears in Aurora’s Annual Information Form and other continuous disclosure filings, which are available at www.sedar.com. It may be difficult for a securityholder in the United States to enforce his/her/its rights and any claim a securityholder may have arising under the U.S. federal securities laws, since the issuer is located in Canada, and some or all of its officers or directors may be residents of Canada or another country outside of the United States. A securityholder may not be able to sue a Canadian company or its officers or directors in a court in Canada or elsewhere outside of the United States for violations of U.S. securities laws. It may be difficult to compel a Canadian company and its affiliates to subject themselves to a U.S. court’s judgment.